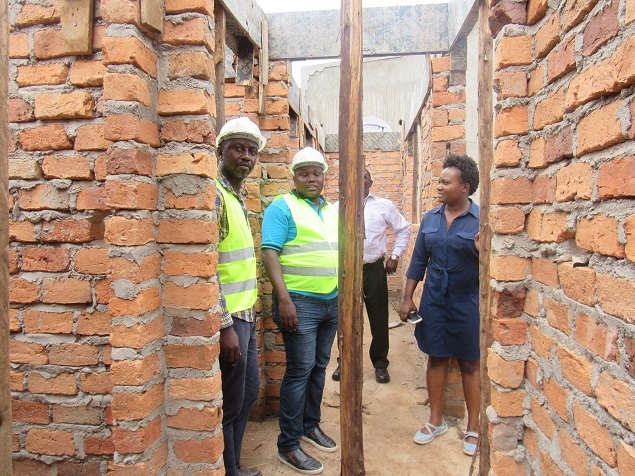 With funding from the Government of Uganda (GoU) and African Development Bank (AfDB) through the Water and Sanitation Development Facility -Central (WSDF-C) completed constructing Namulonge- Kiwenda Water Supply and Sanitation System (WSS) and are now constructing Kiwoko- Butalangu WSS. Mr.Andrew Mbiiro led a delegation from African Development Bank (AfDB) mission to carry out a field supervision of Namulonge- Kiwenda piped water supply system located in Wakiso district. Also present where WSDF-C officials that spearheaded the inspection of the system.